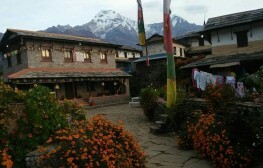 If you are planning a trek to Everest Base Camp trek during your holidays and are wondering about the facilities en route, here’s a short write up about the facilities available on the trail. Most of the trekking trails in Nepal are lined with ‘teahouses’. ‘Teahouses’ are local mountain lodges which offer food and accommodation to weary trekkers. These lodges usually have five or six private bedrooms and a dormitory. Private bedrooms are pretty basic with just two beds, kitted out with a mattress, pillow and a blanket or quilt. Most of the rooms have en suite bathrooms. But these are only available in teahouses at lower altitudes. Dormitories have about five to eight beds. While sleeping, it is more hygienic to use your own sleeping bag. As the bedrooms are not heated, you can layer the blanket over your sleeping bag to keep yourself warm at night. The most spacious and warmest area inside the teahouse is the communal dining area. The room is heated by a stove placed at the centre of the room. Wood or yak dung is used as fuel to light the stove. Teahouses serve a variety of dishes. From the local staple ‘dal-bhaat’ (steamed rice with lentil soup, curry and pickle or chutney) to pasta, pancakes and mac and cheese. ‘Momo,’ dumplings made with flour patties filled with vegetable, canned tuna or meat is a popular choice. Though meat is available on the menu it is advisable not to have it as often times these not very fresh and are expensive. The teahouses use meat brought from the lower reaches, carried over several days by porters or mules. 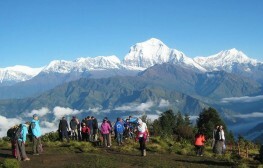 Owing to high altitude and its remote location, fresh fruits in Everest Region are a rarity. Common items on the breakfast menu includes porridge, muesli, cornflakes, eggs, toast, pancake etc. You can buy items like mineral water, chocolates, biscuits etc., but these costs much more in the mountains than at the lowlands. While trekking to Everest Base Camp, you will not face any problems connecting with your loved ones. Teahouses along the route offer the use of their Wi-fi internet hotspot for a price. On the other hand, you can purchase a local sim card with a whole lot of internet data to see you through your EBC Trek. 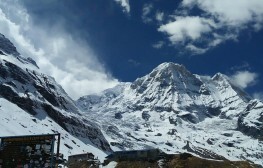 An Ncell sim is recommended as the telecom company has very good 3G network coverage in the Everest region (the company has a mobile tower at Everest Base Camp). You can purchase the sim card in Kathmandu, before the start of your trek. To buy one, you just need a photocopy of your passport and a passport size photograph. Teahouses let you recharge your devices (phone, laptop, camera etc.) by charging an hourly fee. You will have to pay extra for hot showers. Fuel is expensive in this remote corner. Teahouses often use wood or LPG gas geyser to heat the water. Prepare to shell out about USD 5 to 15 per shower. Beyond Namche, a hot shower may involve using a bucket filled with hot water and a mug instead of an actual shower. In the lower elevations, most lodges have western toilets. Instead of toilet paper, a bucket of water with a mug is provided to wash yourself. 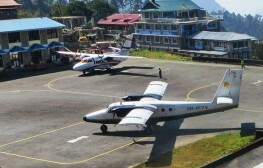 Do remember to pack several rolls of toilet paper before you head to Lukla ! As you gain altitude, facilities at the teahouses also become very basic. At higher reaches, you will have to share a toilet with other guests. If you are lucky, the lodge you are staying in may have a western style toilet, if not you may have to make do with an Asian or squat toilet. 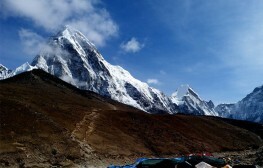 The trail to Everest Base Camp leads you to one of the most isolated corners of the world, where there are no highways or infrastructural facilities. 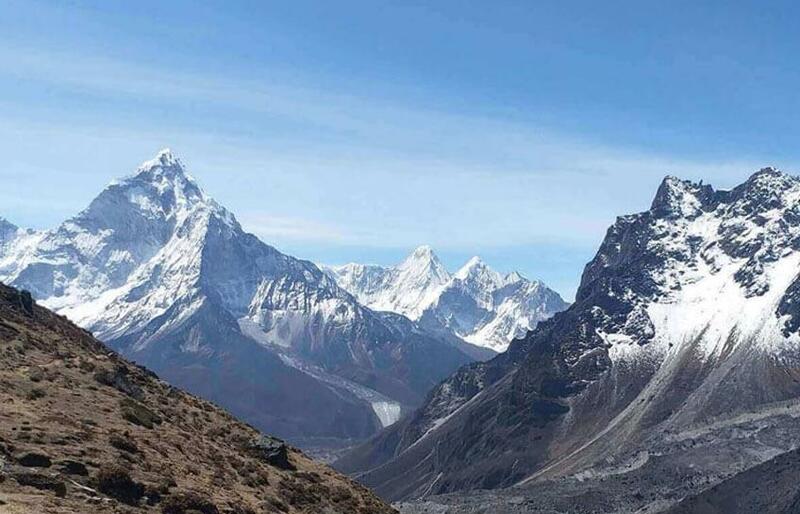 Though Everest Region is one of the most developed trekking regions in Nepal, there are still ‘creature comforts’ you may have to do without while trekking in this mountainous region. Please remember you will have a great experience by keeping a positive mindset and attitude. Enjoy the views, try to understand the local culture and feel the peace of the mountains. You know you are just one of the few to walk under the shadows the world’s highest peaks.